Patient satisfaction, availability of physicians, and seamless operations are the three factors that increase the profitability of healthcare enterprises. Patient satisfaction is dependent on the availability and accessibility of medical amenities. Healthcare operations like medical record management, communication with pharmaceutical suppliers and physicians are necessary to provide patient-friendly healthcare. Internet of Things (IoT) is transforming the healthcare industry by synchronizing the processes involved in providing quality healthcare. 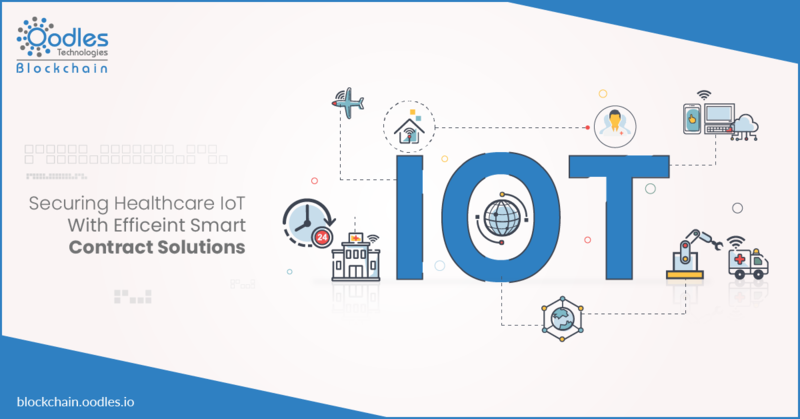 IoT solutions augment connected experiences using information systems and intellectual assets for efficient operations and informed decision making. IoT has the potential to be a profit enabler in healthcare. The technology can drive patient satisfaction with efficient management of doctors and by facilitating seamless operations. The technology automates medical processes for efficient healthcare services. A major challenge in healthcare IoT implementation is the lack of data security. The focus of medical IoT is oriented towards monitoring patients and automating tasks with real-time inputs. Healthcare IoT devices are designed to record and transmit patients’ vital statistics. There is a possibility of security hacks like zero-day exploit, IoT Botnet and thing hacking. The cyber vulnerability of medical IoT has dangerous implications for patients. Hackers can control a device remotely and use it to access medical data or even harm the patient. It creates challenges for healthcare enterprises to comply with regulations like HIPAA and GDPR. Lack of infrastructure to support medical IoT devices is another challenge in the implementation of healthcare IoT. IoT devices generate real-time data for which a network infrastructure that provides secure storage and high availability is essential. Legacy healthcare systems are not efficient enough to handle the speed and volume of data generated by IoT devices. It creates a critical operational bottleneck that affects medical processes and patient-oriented health care delivery. Lack of compatibility and interoperability of IoT devices with healthcare management systems is among the primary challenges of medical IoT adoption. It is difficult to synchronize health management systems with IoT devices as they generate high-velocity data. As a result, a large segment of data generated by these devices cannot be analyzed. Healthcare enterprises, therefore, struggle to use big data to improve quality and reduce operational costs. Blockchain evolved as a standard solution to secure IoT. According to Gemalto, a digital security firm, the “use of blockchain technology to help secure IoT data, services and devices double in a year.” Blockchain technology reduces the security risks of healthcare IoT devices by eliminating a central authority in the network. The technology enables IoT devices to form group consensus to execute transactions according to the pre-defined standards of operation. It automatically quarantines any IoT device that deviates from the standard behavior. Blockchain enhances the utility of IoT data. Data in a blockchain-enabled network of IoT devices is distributed across the network. It enhances the accessibility of data for authorized devices and users. Blockchain-based healthcare IoT systems make medical data available, auditable, and accountable while maintaining data integrity and confidentiality. The technology segregates data according to their types at the source of generation. It enables efficient management of big data to improve medical processes. Additionally, blockchain facilitates traceability of every operation on the data like deletion and modification. Blockchain addresses the challenge of interoperability of medical data. An advantage of the technology is its compatibility with existing medical systems like Electronic Health Record (EHR). IoT devices in a blockchain network operate as distributed ledgers to facilitate the functionalities of EHR. The combined network of IoT devices operates as a distributed database where each device replicates the complete data in the network. Internet synchronizes the decentralized database to enable seamless accessibility of data across the network. Hyperledger Blockchain Application Development Solutions: A technology to develop a decentralized IoT ecosystem should enable three basic capabilities: Peer-to-peer messaging, distributed file sharing, and autonomous device coordination. Hyperledger, a distributed ledger technology, enables these three capabilities in an IoT network efficiently. We develop blockchain solutions to facilitate efficient IoT implementation in healthcare with Hyperledger. Hyperledger enables real-time communication between IoT devices with barcode and RFID tags. We program smart contracts to achieve the desired operation of any IoT device like exchanging information and executing cyclic operations. Ethereum Blockchain Application Services: We program Ethereum smart contracts to develop a predefined Developing Blockchain Solutions for Healthcare IoTbehavior of any IoT device. Solidity, the language for developing Ethereum smart contracts, can be programmed to automate IoT devices. The technology can facilitate mechanisms to control IoT devices remotely using smartphones. Physicians can use their smartphones to monitor and control the behavior of IoT devices that are connected to the patients. We develop RSA algorithms to create public keys and singular functions. It facilitates fine-granularity of healthcare IoT devices to perform sensitive operations. Ethereum blockchain can create effective mechanisms to secure IoT devices. Public key and private key can be assigned to each IoT device. Any change in the device is impossible without these keys. The private keys secure health information by providing access only to authorized devices and users on the IoT network. Apart from Hyperledger and Ethereum, blockchain platform like IOTA can be used to implement efficient IoT networks for healthcare management. It is necessary to evaluate the requirements of the healthcare enterprise to determine appropriate blockchain technologies. Reach out to us to explore how blockchain and healthcare IoT devices can create efficiencies and improve patient satisfaction.